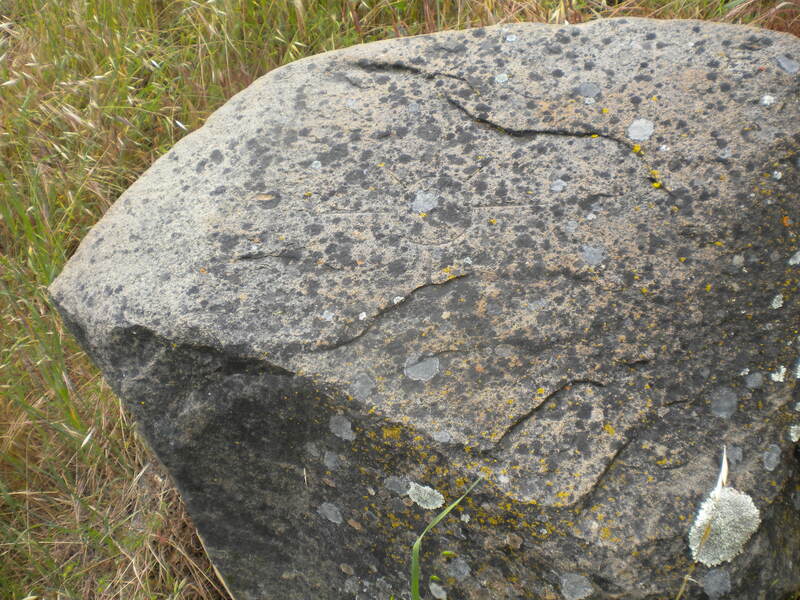 I took a break at midday and hiked down in the lower field to take a picture of the Chumash Indian artifact. 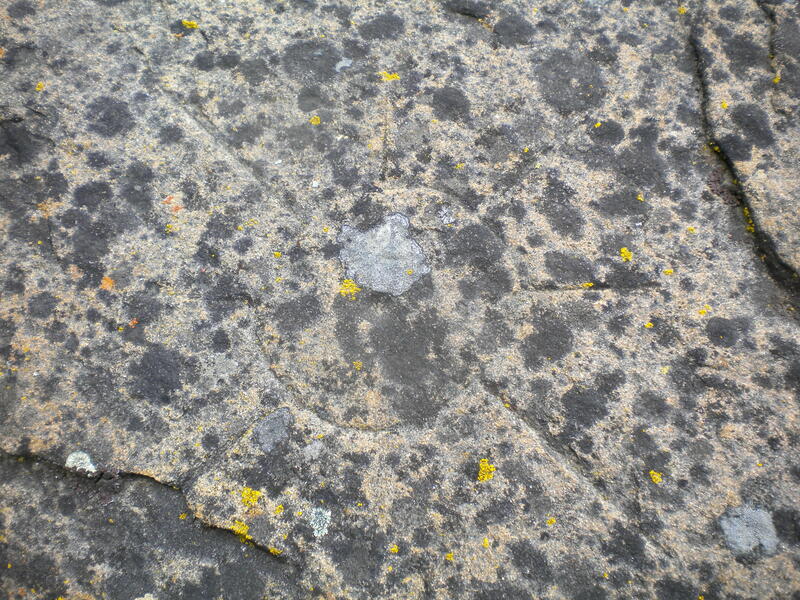 Carved into a four foot flat rock which sits just at the bottom juncture of the field, is an engraving of a sun sign. We went to the natural history museum in Morro Bay and found the exact symbol attributed to the Chumash tribe, who at one time inhabited the central California coast 20,000 strong. As a tribe they are best known for living in balance with nature, taking only what they needed from the land and sea, believing that they must always preserve and leave enough for future peoples. There’s a philosophy we need more of in our world. Our sun sign has faded out a bit just in the years we have lived here, but it still seems special to me. In the photograph, which obscures the symbol even more, it shows if you look closely, a circle with a dot in the center, and four long rays interspersed by four shorter rays. A compass? And why in this particular spot? Whatever the history, I think it is a good omen. And here’s a good omen for the road. 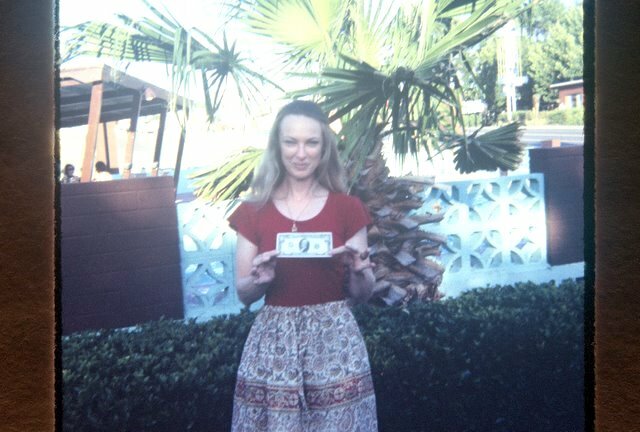 On our early 70’s trip we made a quick stop in Las Vegas. Just long enough to run inside (I think it was the MGM Grand) and I put one nickel in a slot machine. And hit a jackpot! Granted I only won $10.00 but I was thrilled. I know we won’t be stopping in Las Vegas this time, but it’s always good to look for omens. And I do intend to write and post along the way so stay tuned for the journey.